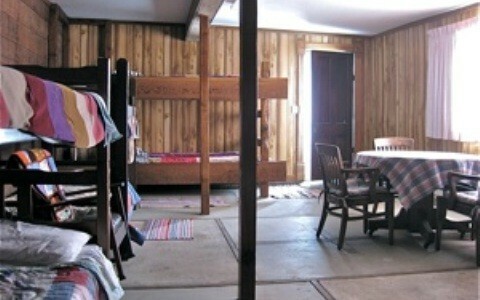 bunkhouse room in the "BARN"
Our basic overnight rate is $25.00 per person per night. 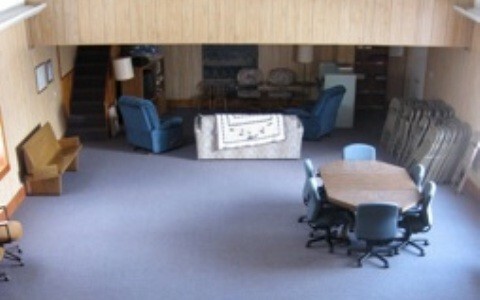 Our day meeting rate is $12.00 per person per day. Family rates are available. Donations are appreciated and adjustments may be made according to the ability to pay. 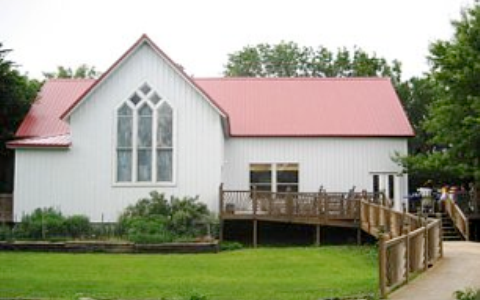 The Old Church is complete with 1 and 1/2 bathrooms, a full kitchen, and lounge. Two lofts and a fold-out bed sleep a total of 10 adults. A ramp and ground floor facilities open the church to our guests in wheelchairs. 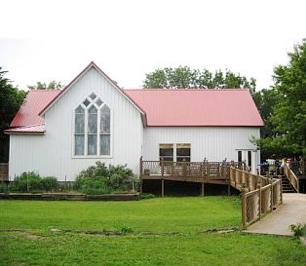 The church is our largest indoor space at more than 1600 sq. ft. with vaulted ceiling and an open floor plan. We are fully equipped to accommodate large family gatherings, hunting parties, celebrations, and even have hosted a concert or two. Come and relax on our oversized deck, listen to the birds sing, and enjoy the fresh air. 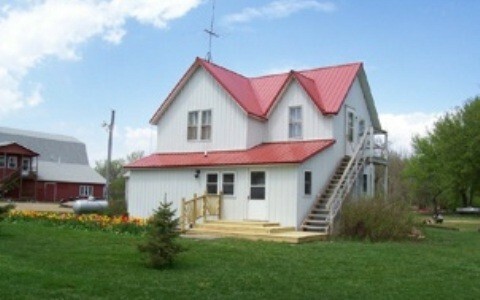 The Prairie House is fully equipped for a family or group of friends to stay. 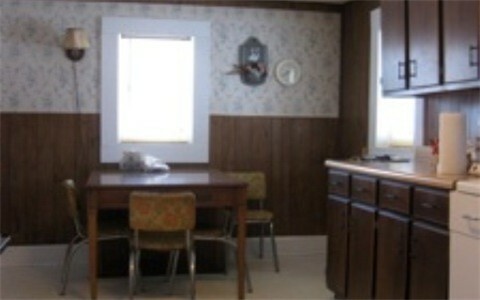 With 4 bedrooms and beds for up to 10 adults the Prairie House can accommodate medium size groups. 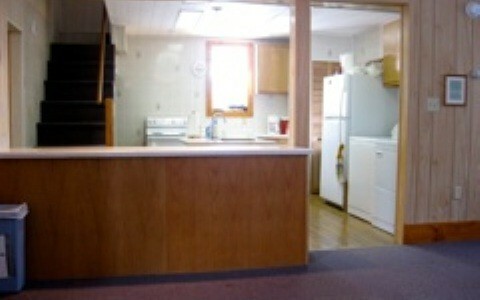 The house has 1 bathroom and a full kitchen to meet your needs. 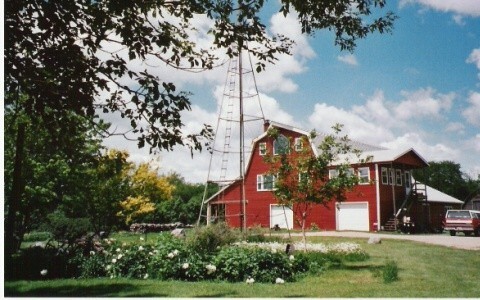 The Bunkhouse room is located on the ground floor of the barn. It has 3 bunk beds to sleep six adults. 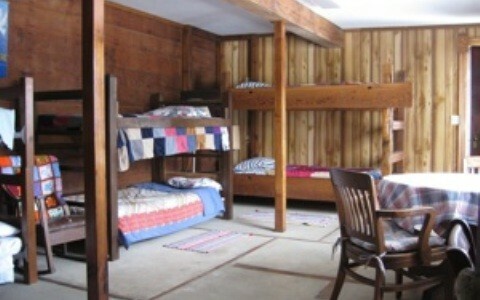 The Bunkhouse is wheelchair accessible and is complete with a full bathroom. A great arrangement for the traveler on the go, the Bunkhouse is often used as extra sleeping quarters for large groups at Prairie Retreat.